You asked, we listened. And on January 1st, we launched the new websites for Afrikaans, Romanian and Urdu! This brings us to 34 languages that you can now learn! If these were on your wish list, be sure to visit them below. And…as our thank you for helping us grow, get 34% OFF Premium at all of our 34 language sites. Unlock our entire language learning system at 34% OFF. Now’s your chance! Start speaking from your first lesson and save BIG. Unlock 100s of hours of audio and video lessons by real teachers, lesson notes, Premium study tools, exclusive apps and more. Get 34% OFF Premium – just $6.60/month or $0.22/day. Hurry! This ends February 3rd, 2016! Click Here to Get 34% OFF Any Premium Plan at AfrikaansPod101! Click Here to Get 34% OFF Any Premium Plan at ArabicPod101! Click Here to Get 34% OFF Any Premium Plan at BulgarianPod101! Click Here to Get 34% OFF Any Premium Plan at CantoneseClass101! Click Here to Get 34% OFF Any Premium Plan at ChineseClass101! Click Here to Get 34% OFF Any Premium Plan at CzechClass101! Click Here to Get 34% OFF Any Premium Plan at DanishClass101! Click Here to Get 34% OFF Any Premium Plan at DutchPod101! Click Here to Get 34% OFF Any Premium Plan at EnglishClass101! Click Here to Get 34% OFF Any Premium Plan at FinnishPod101! Click Here to Get 34% OFF Any Premium Plan at FrenchPod101! Click Here to Get 34% OFF Any Premium Plan at GermanPod101! Click Here to Get 34% OFF Any Premium Plan at GreekPod101! Click Here to Get 34% OFF Any Premium Plan at HebrewPod101! Click Here to Get 34% OFF Any Premium Plan at HindiPod101! Click Here to Get 34% OFF Any Premium Plan at HungarianPod101! Click Here to Get 34% OFF Any Premium Plan at IndonesianPod101! Click Here to Get 34% OFF Any Premium Plan at ItalianPod101! Click Here to Get 34% OFF Any Premium Plan at JapanesePod101! Click Here to Get 34% OFF Any Premium Plan at KoreanClass101! Click Here to Get 34% OFF Any Premium Plan at NorwegianClass101! Click Here to Get 34% OFF Any Premium Plan at PersianPod101! Click Here to Get 34% OFF Any Premium Plan at PolishPod101! Click Here to Get 34% OFF Any Premium Plan at PortuguesePod101! Click Here to Get 34% OFF Any Premium Plan at RomanianPod101! Click Here to Get 34% OFF Any Premium Plan at RussianPod101! Click Here to Get 34% OFF Any Premium Plan at SpanishPod101! Click Here to Get 34% OFF Any Premium Plan at SwahiliPod101! Click Here to Get 34% OFF Any Premium Plan at SwedishPod101! Click Here to Get 34% OFF Any Premium Plan at ThaiPod101! Click Here to Get 34% OFF Any Premium Plan at TurkishClass101! Click Here to Get 34% OFF Any Premium Plan at UrduPod101! Click Here to Get 34% OFF Any Premium Plan at VietnamesePod101! We’re inviting you to download your new secret weapon for learning language in 2016. 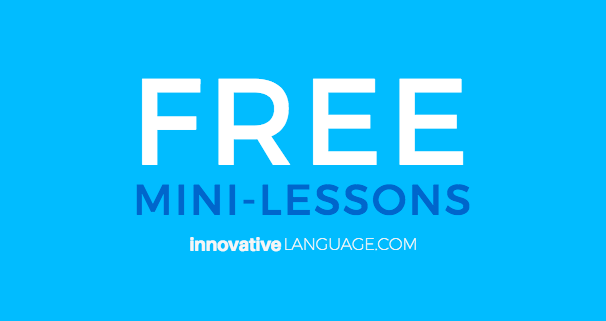 You’ll learn in minutes a day, every day, guaranteed, with mini-lessons delivered directly to you. 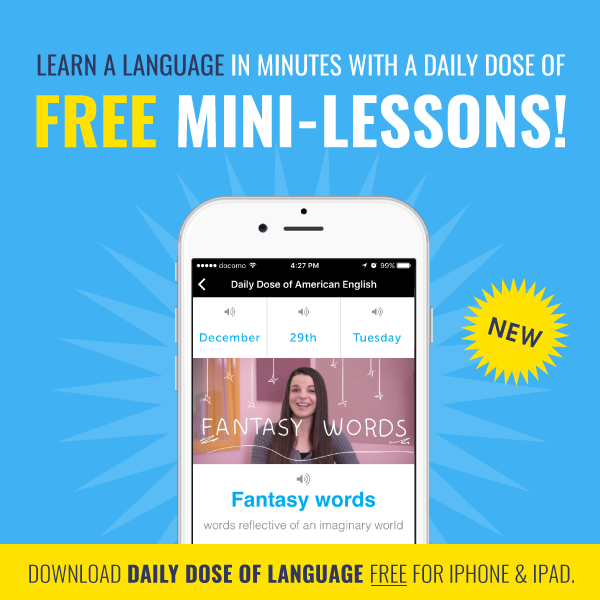 Learn words, phrases, grammar and more with a quick daily dose! Easy to learn. Easy to finish. Easy to keep going, every day. All you have to do is download our new, free App: Click Here to Get the Daily Dose App for the iPhone & iPad! Top 10 New Year’s Resolutions in 31 Languages. Is Yours Here? What’s your New Year’s Resolution for 2016? Learn more languages? Save money? Read more books? Can you tell us in the language you’re learning? We asked our listeners on Facebook what their resolutions were and here are the Top 10 New Year’s Resolutions based on the responses. 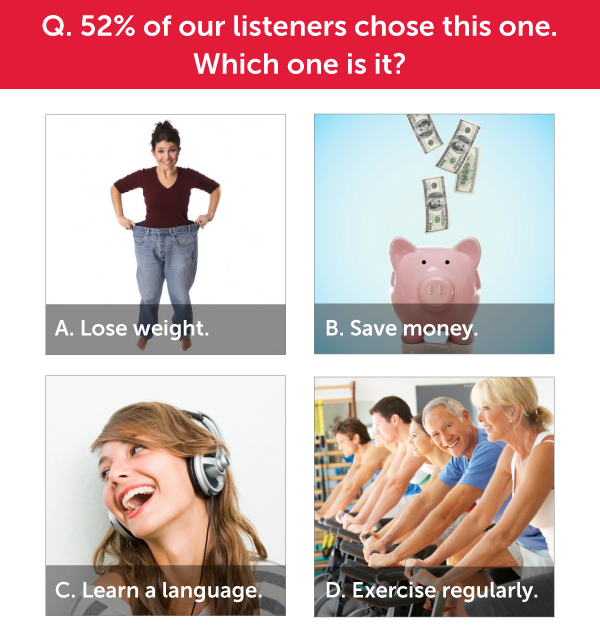 52% of our listeners chose saving money. Is yours on the list? This phrase list will take you 3 minutes and you’ll be able to say what your New Year’s Resolution is. If yours isn’t on there, leave us a comment! Leave us a comment in Japanese for practice – we read them all! Speak and master your target language with 100s of audio and video lessons made by real teachers. Click on “Browse Lessons” in the top menu to access our massive library. Just start, we’ll do the teaching and you’ll start speaking minutes into your first lesson.